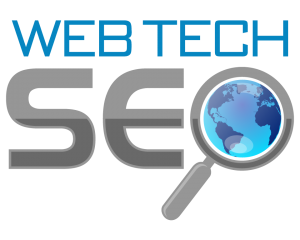 Web Tech SEO is located in Santa Rosa Beach Florida. Danny Margagliano, the owner of Web Tech SEO, first started working on Santa Rosa Beach SEO in 2009 on his personal real estate website. Being personally deeply rooted in the real estate industry is why this company works primarily within the real estate niche. If you are not a realtor no problem, as long as you are a local business we can help you. We enjoy working on any local search engine optimization. Although Web Tech SEO started out as a Santa Rosa Beach SEO company, they have grown to work with realtors throughout the United States. Our goal is to increase your search engine ranking and internet presence so you can be in front of more buyers and sellers then ultimately gain more customers. Being found on Google and other search engines is the purpose of SEO. We do much more than just getting you discovered. Your website needs to look good, have a natural flow, provide excellent information and good user experience (UX). When all of these things are put together and are running smoothly you not only will find your website ranking for more real estate keywords but will also see customers contacting you to purchase their next home, condo or piece of land. We understand SEO and we know real estate. Are you interested in seeing how this local Santa Rosa Beach SEO company can help you? Start here with a Free Website Analysis.